If you are a lover of "world"-style breads (as in, 'ethnic') you will love this recipe for gluten-free lentil-rice-chia flatbread. I promise. When you are trying to follow a gluten-free lifestyle you know how frustrating it is to walk into a store and see all the yummy wheat-flour products that your mouth remembers so well... 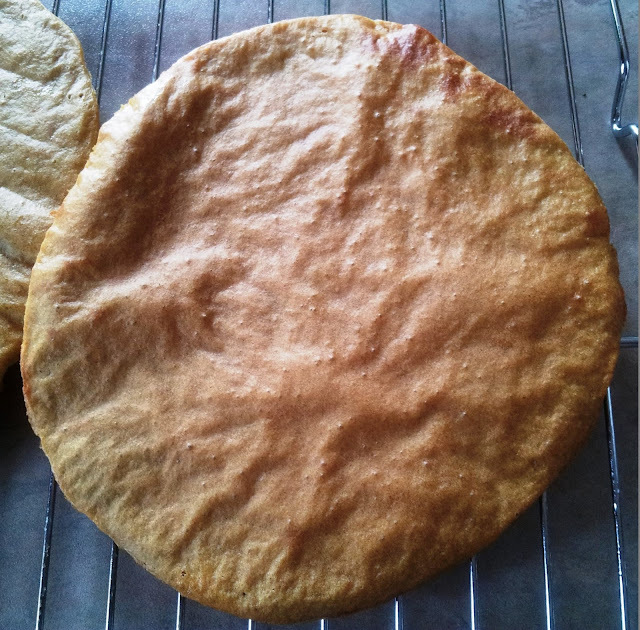 Yes, I have attempted to make many gluten versions of my fave wheat breads and buns, etc. When I am hungry enough, I can almost fool myself into believing that X tastes just like "real" bread. And then there are all the 'store-bought' GF breads... let's just say that some are better than others. But they are expensive (ALL of them)and I ALWAYS think to myself that I could make a GF bread that was at least as good as "XYZ" if I just played around with the ingredients. I am currently attempting to keep my diet GF, vegan, AND low yeast/low glycemic. Yes, you ARE lucky not to be me. And, YES, I did google it and baked for about four mornings before arriving at today's absolutely delicious GF flatbread using a combination of organic brown rice, organic chia seeds, and organic red lentils. Well, cutting to the chase, it tastes like the child of Mr. Pancake and Miss Naan. No levening agent was used-- no yeast, no baking soda or baking powder-- so I'm thinking that by soaking the lentils and the rice-chia flour several hours yesterday and then overnight together, the batter (or very fluid dough) captured some wild yeast from the air (what sourdough is all about) because there WERE bubbles in the batter, and there was a nice fluffy texture when we bit into the fresh bread. 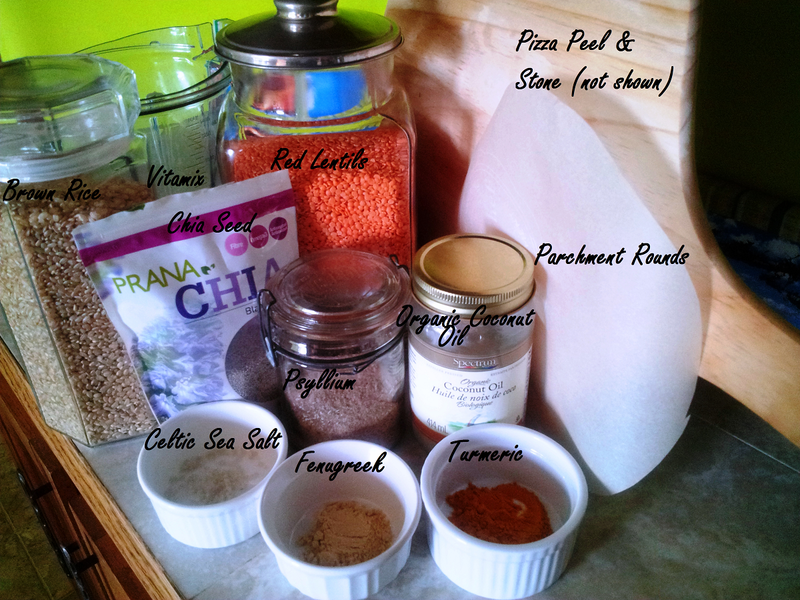 How Do I Make This Perfect Gluten-Free Lentil-Brown Rice-Chia Flat Bread? NOTE: PSYLLIUM NOT NEEDED-- JUST IN THE SHOT FOR A PHOTO OPP. Remove and cool on rack when top is golden brown, and a little darker around edges. 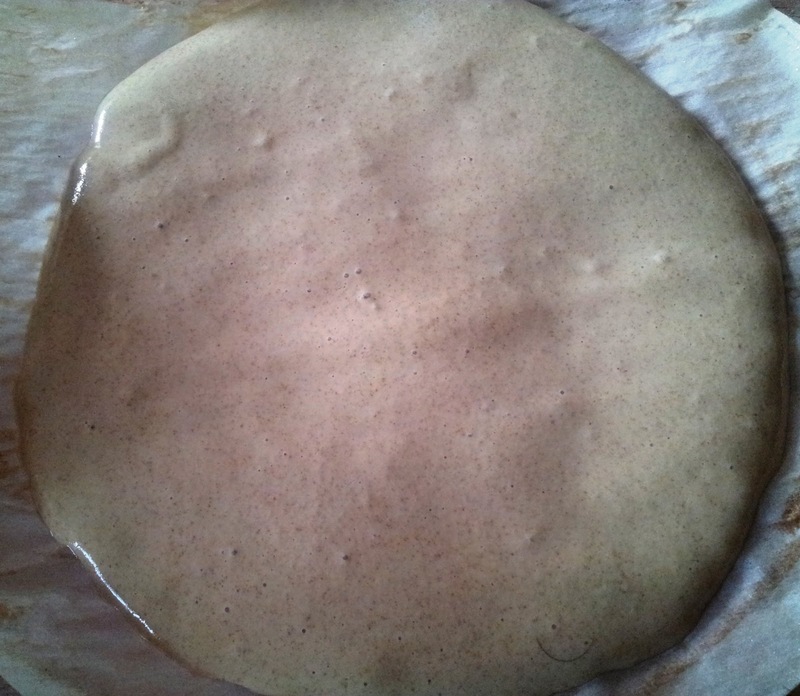 Parchment should peel off easily. Eat with favourite salad or curry-type stuffing; Store in plastic bag in fridge when completely cool.